You eat / sleep on it. Your pet has irrefutably pegged it their favorite couch. You entertain parties, with your sofas being center stage. 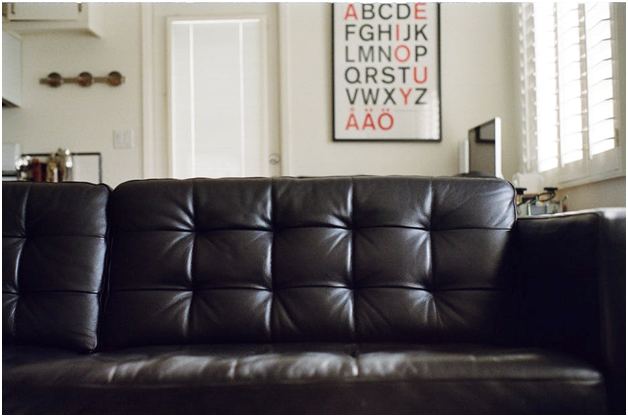 So, when was the last time you cleaned your old leather couch? Furniture upholstery cleaning is often overlooked when considering a spring (or a summer) cleaning. More time is spent vacuuming the carpet which does make sense as the floor furnishing takes more square footage in every room. But where do you spend the most time after a long, hard day at work—the living room floor or your favorite armchair? Let alone weekly or even monthly cleaning, furniture upholstery repair is left till the very last, often when it’s a much better idea to replace the over-worn sofa set with a new one! Buying new furniture is expensive, especially when considering leather furniture. Learn howto spot damage to your furniture so that you can re-upholster in time, saving lots of dollars in the process. This damage is caused by rapid changes and fluctuations in humidity and temperature. Additionally, damage of furniture is also brought by exposure to visible and ultraviolet light as well as chemical composition changes of the furniture upholstery itself. Biological damage mostly happens when furniture is left outside to the elements mercy. This type of damage normally happens through insect, bacterial, and fungal attack. This sign is pretty common in comfy sofa sets. Sitting on the same spots repeatedly will cause the sofa to sag over the years. Most furniture manufacturers use low quality foam to save on production costs which begins to show after just a few months of usage. A time comes in yourfurniture’s life when everyday usage tears apart the fabric, making the furniture an eye sore. You could have a stunning living room with modern art pieces displayed strategically on the wall; but if you havetorn furniture—even one—your room will look like a drag. Over use through a lot of years will bring some changes to your furniture that you can see and feel when sitting. Have a residential sofa set that needs some love, care and attention in the form of re-upholstery? Give the job to Genesis Upholstery and sit back while we make your sofa brand-new once again!